It was year 1522 and they revolted just after Christmas on the island of Hispaniola. They moved quickly from one plantation to the next hoping to mobilize others to their cause. With a machete in hand, they killed settlers and livestock, torched homes and fields. Once the dust had settled, 15 bodies lay dead, 9 of which were European. By historical standards, this was a minor revolt but it was the first slave revolt of the Trans-Atlantic slave trade and it was instigated and led by African Muslim slaves. These Black African Muslims were a proud people. They were confident in their abilities and sure of themselves. Islam was their guiding principal and it blessed them with many abilities. Muslims from Africa included people from the Wolof, Mandingo, Hausa, Pulaar, Fulani, Vai and other ethnicities but it was Islam that bound them all. They shared a religion and a language, a writing system, a set of values and habits that transcended the traditional categories of identification. A traveller to Brazil noted that Muslims slaves “were more united among themselves then the other nations.” Muslims would seek each other and their common characteristics distinguished them among the rest of the slave population more frequently than their numbers alone should have warranted. The Muslim literacy rate among the slaves became a distinctive trait and it set them apart from the rest of the slaves. Many of the Muslim slaves were literate in at least Arabic and quite a few were literate in one or two additional languages. Muslims slaves had previously studied the Quran Islamic studies, Arabic language, literary style, rhetoric, logic, history, math, astronomy, cartography and the Greek philosophers such as Plato, Aristotle and Hippocrates during their life in Africa. 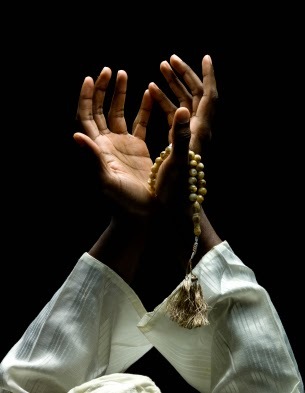 Among the African Muslim slave population there included scholars, Hafiz-ul-Quran, Imams, lawyers, professional educators, teachers, military officers and princes’. These African Muslims believed Islam to be morally superior to anything else and it gave them a sense of superiority. They were Muslim men and women and they could only be free. Their complete refusal to accept their situation translated into disobedience and rebelliousness which was unique among the slave population. Islam was a galvanizing force and it became a catalyst for insubordination and rebellion. After the first revolt in 1522, the Wolof Muslims revolted in San Juan, Puerto Rico, Santa Marta, Colombia and Panama. Lands separated by vast distances and yet the same group of people were revolting. There were joint African’s allied with Indian revolts in Hispaniola in between 1522 to1532, Mexico 1523, Cuba 1529, Panama between 1550 and 1582, Venezuela 1550, Peru 1560, Ecuador 1599, Guatemala 1627, Chile 1647, Martinique 1650, Florida between 1830 and 1840. In each of these revolts the Spanish officials blamed the African Muslim slaves for either instigating and leading the revolt or enticing the Indians to revolt. As a result of these bellicose Muslim slaves from Africa, starting in 1503 the Governor of Hispaniola asked the Spanish crown to put a stop to the importation of African Muslims slaves from West Africa because they ran away and would entice the Indians to revolt. This decree was ignored. In 1526, after the first slave revolt, the Spanish crown issued the first cedula (royal decree) outlawing the importation of African Muslims. This decree was ignored. In 1531 another decree was issued banning the importation of African Muslims. This decree was also ignored. Again in 1543 and 1550 decrees were issued forbidding the importation of African Muslims and again these decrees were ignored. Between the 16th and 18th centuries, African Muslims were specifically targeted with legislation to prevent their importation but the slave trade was just too lucrative to adhere to these diktats. The fact that Muslims were specifically targeted by legislation is evidence of the high degree of organizational ability and influence the African Muslims had in the ranks of the rebels even though their numbers in the overall slave population was low. The colonists in the New World learned quickly that the ability of the African Muslim came with a warning label. The Muslim slaves had a high degree of literacy, learning and religion which was a benefit to the plantation but those same assets created a yearning for freedom. They used their abilities to incite, organize and lead revolts to great effect. When they weren’t revolting, they were trying to preserve their religion by creating Islamic schools, organizations and support structures to preserve what they had lost. Trans-Atlantic Slave was an evil institution and those forced into it lived brutal lives and the Muslims suffered no less. But the talents the Muslims brought to the New World gave them the ability to take advantage of any opportunity, no matter how small and the European colonists recognized this, feared it and tried in vain to control it. Dirks, Jerald. Muslims in American History: A Forgotten Legacy. New York: Amana Publications, 2006. Diouf, Sylviane. Servants of Allah - African Muslims Enslaved in the Americas. New York: New York University Press, 1998. “Islam in the Dominican Republic.” Wikipedia. Nov 3, 2013. Feb 10, 2014. .